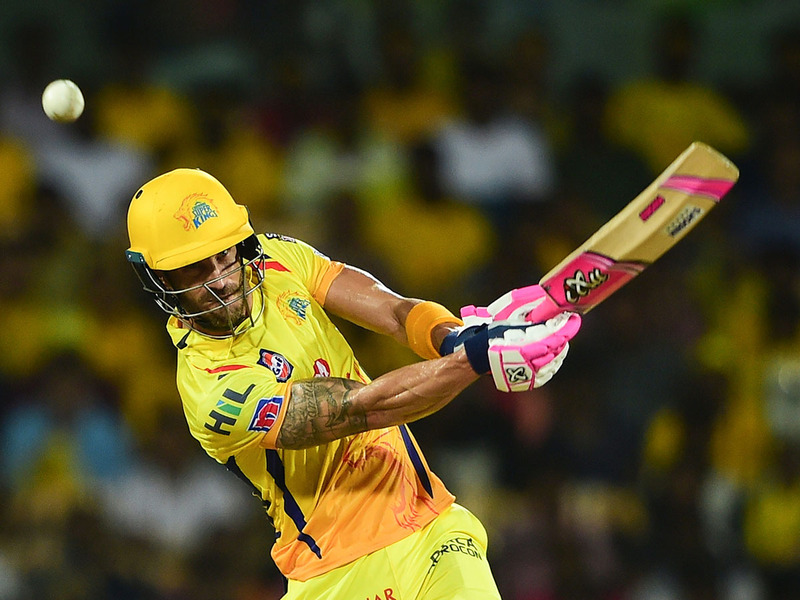 Chennai: All-round Chennai Super Kings made short work of Kolkata Knight Riders (KKR), thrashing them by seven wickets in a lopsided Indian Premier League (IPL) encounter here on Tuesday. The victory saw the defending champions replace KKR at the top of the eight-team points table with 10 points from six matches. KKR, meanwhile, dropped down to second spot, having eight points from six outings. After being put in to bat first by home team skipper Mahendra Singh Dhoni, the visitors managed just 108/9, riding on Andre Russell’s unbeaten yet uncharacteristic 44-ball 50. Earlier, Chahar tore into the KKR top order early as Chennai never allowed the visitors to get an upper hand. Russell was dropped when he was batting on 8 by Harbhajan, the skier proved a difficult one. KKR were reduced to 24/4 inside the first five overs, largely due to Chahar, who bowled a superb first spell of 3-0-14-3. He first trapped Chris Lynn (0) in front to then account for the wicket of Rana (0), who hit a rising delivery straight to Rayudu at midwicket. In between those two wickets, Harbhajan continued his rich vein of form with the ball by removing Narine (6) with a tossed up delivery that the West Indian top-edged to Chahar, who ran backwards from point to complete an excellent catch. The pacer then got the back of Robin Uthappa (11), who was guilty of trying to play one shot too many, and holing out to Jadhav at deep square leg. Tahir removed Gill too with a googly that slipped through only for Dhoni to complete the stumping. Russell and Chawla (8) joined hands for a 29-run stand for the seventh wicket, but once Harbhajan sent the latter back with a delivery that spun sharply away from the batsman for Dhoni to effect an easy stumping, it was all downhill for the visitors. Kuldeep Yadav and Prasidh Krishna did not trouble the scorers with Harry Gurney (1 not out) staying till the end with Russell.